Sparkonix has pioneered the EDM/Spark Erosion Technology in India since 1968. In Die sinking EDM we cater different applications like plastic moulds, die casting dies, forging dies & various other special purpose Aerospace applications. 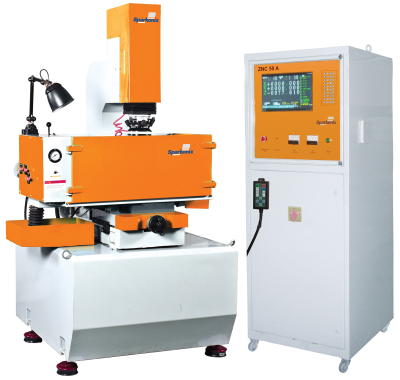 Building on this rich experience of over four decades, Sparkonix offers a comprehensive range of EDM/Spark erosion machines with cutting edge features.